Description: Dianna met up with Canadian Rock and Juno Hall of Famer, Rik Emmett at Metalworks Studios in Mississauga to discuss his new album "RES 9" released on November 11th and also to find out the meaning behind the band's name "RESolution 9". Recently Rik reunited at Metalworks Studios with his band mates, Mike Levine and Gil Moore (owner of Metalworks Studios) to record "RES 9". This is the first new music from the original line up since 1987 "Surveillance". Also featured on the album are guest artists: Alex Lifeson from Rush and James LaBrie, lead vocalist for Dream Theatre. Rik will be performing at the Living Arts Centre in Mississauga on Saturday, November 26th at 8:00 p.m. For more information on Rik visit rikemmett.com. BEACH CORNER from Beach BOOSTER Radio is available ON DEMAND anytime on any device. Please enjoy & SHARE! PHOTO: Mary Ann Watts of Watt's Photography, Rik Emmett & Dianna Chycki at Metal Works Studios. Dianna met up with Canadian Rock and Juno Hall of Famer, Rik Emmett at Metalworks Studios in Mississauga to discuss his new album "RES 9" released on November 11th and also to find out the meaning behind the band's name "RESolution 9". Recently Rik reunited at Metalworks Studios with his band mates, Mike Levine and Gil Moore (owner of Metalworks Studios) to record "RES 9". This is the first new music from the original line up since 1987 "Surveillance". Also featured on the album are guest artists: Alex Lifeson from Rush and James LaBrie, lead vocalist for Dream Theatre. Rik will be performing at the Living Arts Centre in Mississauga on Saturday, November 26th at 8:00 p.m. For more information on Rik visit rikemmett.com. BEACH CORNER from Beach BOOSTER Radio is available ON DEMAND anytime on any device. Please enjoy & SHARE! 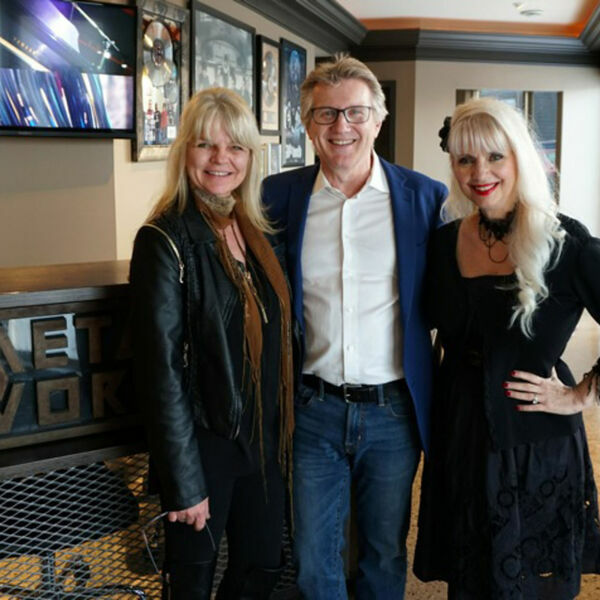 PHOTO: Mary Ann Watts of Watt's Photography, Rik Emmett & Dianna Chycki at Metal Works Studios.